You may think you do your best work when papers are all over the place, but the reality is that clutter can weigh you down. 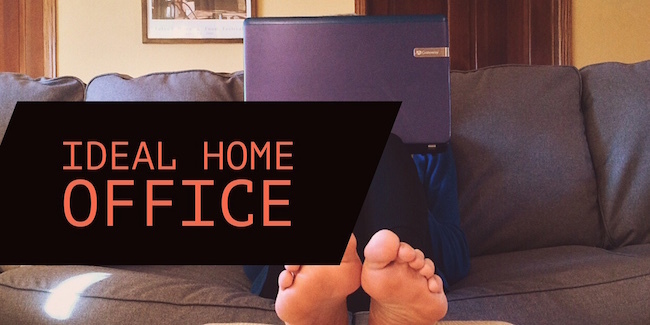 Your home office deserves to be as clean and clutter free as possible. You deserve to be able to locate that sticky note that you wrote 20 minutes ago! So, take an hour or two and go through your office as quickly as possible, throwing away anything that needs to be in the trash. Also, file items that you’ve forgotten, clear out items that belong in other rooms, and donate items that you don’t need but are in good shape. If you do this about once a week and keep it up, you won’t have to spend hours cleaning it ever again. You can’t do your best work when you’re uncomfortable. Even if you like that uncomfortable chair your grandmother gave you, it needs to go (sorry grandma). Are you a plant lover? Do you have a ton of pictures that you would love to have on your wall? Do you love gold accessories? These are questions you need to ask yourself before you decorate your office. When you have decided what you love and want, go shopping! I find most of my office decorations from Target or Home Goods. I also used free printables from Pinterest to put art on the walls of my office. Really, the key to making your home office inspiring is to make it fit your personality. If you want a ton of bamboo plants, go for it! If you love your paintings, hang them up to inspire you every day when you sit down at your desk. Adding decorations doesn’t have to be expensive. It just has to make your office a room or space that you’ll enjoy as time goes by. You can even repurpose the items you already have in your home to save a little cash. Just like with any other room in your home, make adjustments to your home office as necessary. Make sure to keep it clutter free, don’t forget to switch out decorations when you want a little change, and make sure your furniture still works for you. The best and most inspiring home office is always evolving, just like you. It doesn’t always have to be perfect, but it should make you want to focus and work.